New Zealand sovereignty campaigners will wear Melbourne Cup hats, complete with bobbing corks, to congratulate Australia on its Trans Pacific Partnership Agreement (TPPA) stance. Aotearoa Is Not For Sale Wellington will gather at the Australian High Commission gates from 4.00pm to 5.00pm on Melbourne Cup day, 6 November. 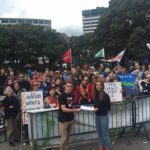 “We want to congratulate the Australian High Commissioner on the Australian Government’s strong stand against the Investor State Disputes Provision of the TPPA,” Aotearoa Is Not For Sale Wellington spokesperson John Maynard says. The TPPA is one of the biggest political issues facing New Zealand but one of the least publicised and least understood. It is being negotiated behind closed doors with no possibility of public oversight. It involves eleven Asian and Pacific-rim countries including the United States, with the aim to extend it to all 21 APEC countries. 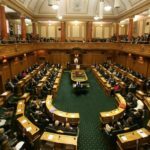 “Although, Aotearoa Is Not For Sale Wellington understands the importance of international trade to New Zealand, the TPPA’s Investor State Disputes Settlement provision would allow foreign corporations that want to ‘protect’ their profits to be able to sue governments in secret international tribunals,” Mr Maynard says. 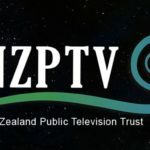 “The New Zealand government needs to follow Australia’s lead in acting to protect its own citizens and taxpayers from the bullying of international corporations like the tobacco companies, which are currently opposing the plain packaging of cigarettes. The next round of TPPA negotiations will be held at Sky City Casino in Auckland from 3-12 December 2012.